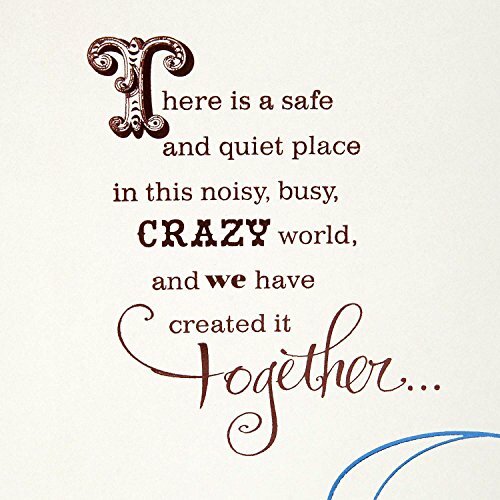 Inside Message: There is a safe and quiet place in this noisy, busy, crazy world, and we have created it together... 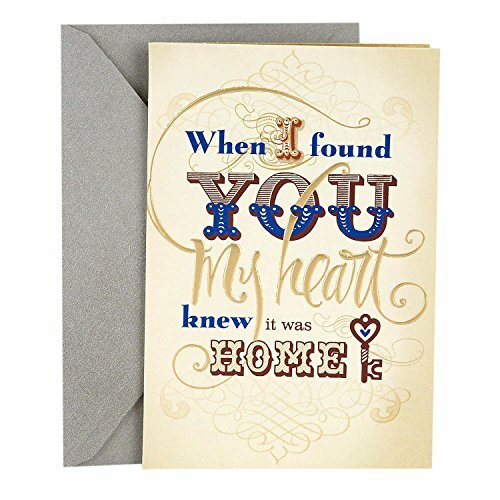 I hope you know that the life we've built means more to me than anything in the world. 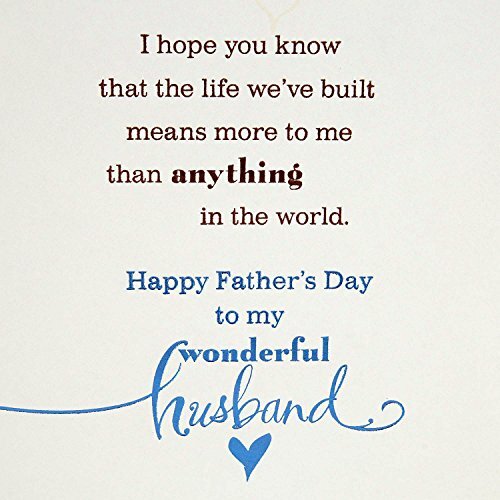 Happy Father's Day to my Wonderful Husband. 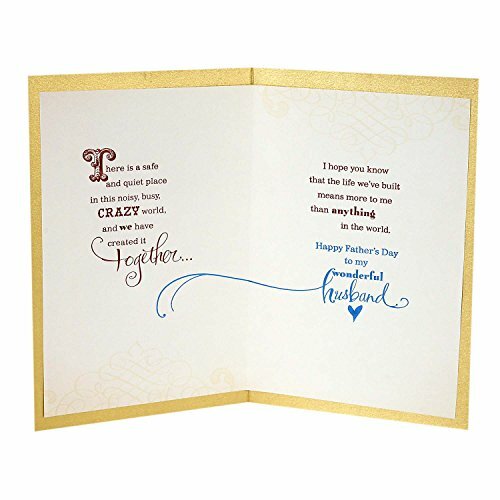 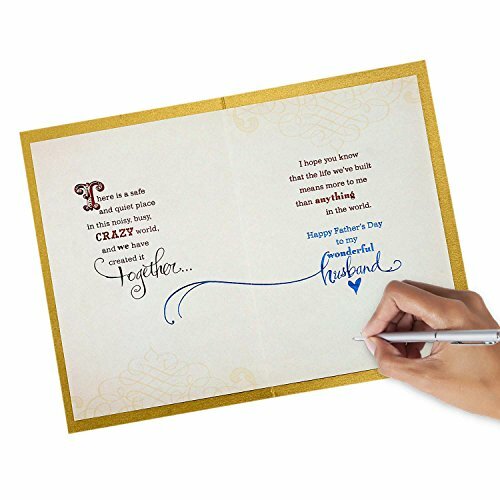 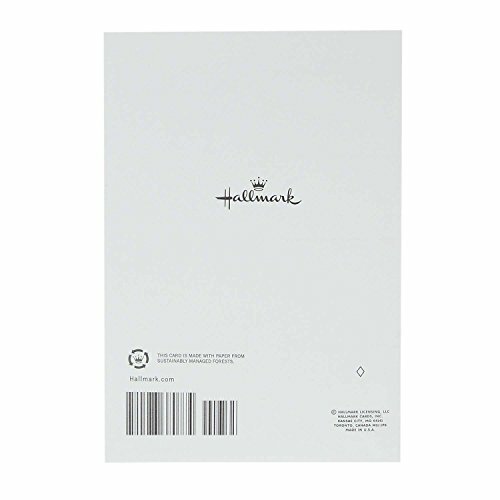 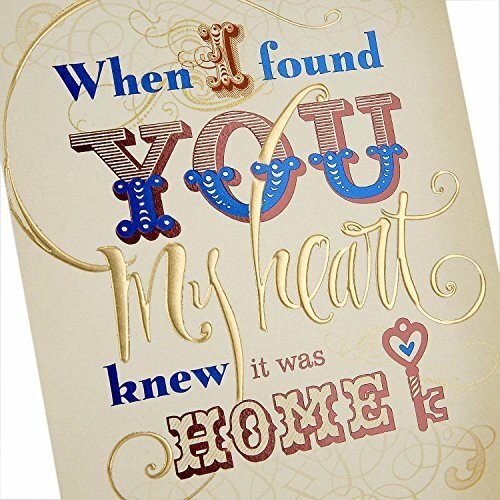 This card's design features multiple styles of lettering in black, gold, and blue, with an image of a key with a heart-shaped bow.